2. Wash and soak the rice for 3 hours. 3. Wash and soak the tur dal, split gram dal and ural dal together for 2 hours. 4. Soak the split green gram dal for 2 hours separately. 6. Then add the dals in step 3 with rice and grind them coarsely. 7. Now add the split grren gram, cumin seeds, asafoetida and salt. Grind this mixture for just 2 sec only. 8. 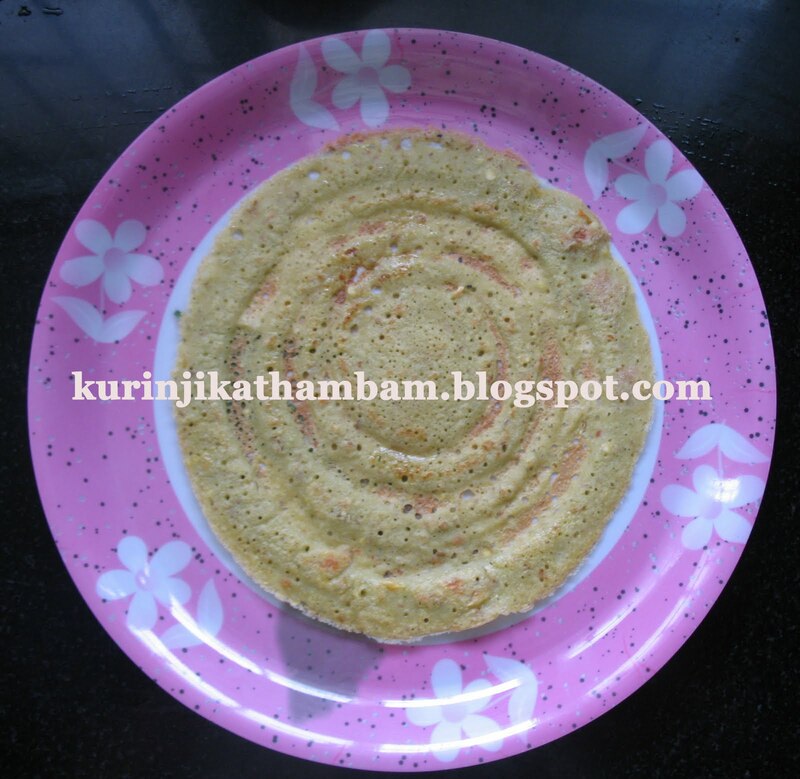 Adai dosa batter is ready. 9. Before making adai add chopped onion, grated coconut and chopped coriander leaves to the batter. 10. Heat the tawa and pour one ladle full of batter to a thick circular shape. 11. Pour few drops of oil along the sides of the dosa. Turn over once it reaches golden colour. 12. Remove the dosa when it is golden on both sides. Serve hot with Coconut chutney or Mint chutney.